To sit down at your computer or paper and write, takes regular practice. The writing fairies don’t just show up on demand. Don’t take my word that consistent writing practice is needed. Regardless of what you call it, you need to train your mind and body to write. When you watch athletes you don’t see all the hours they poured into training, the same is true for writers. 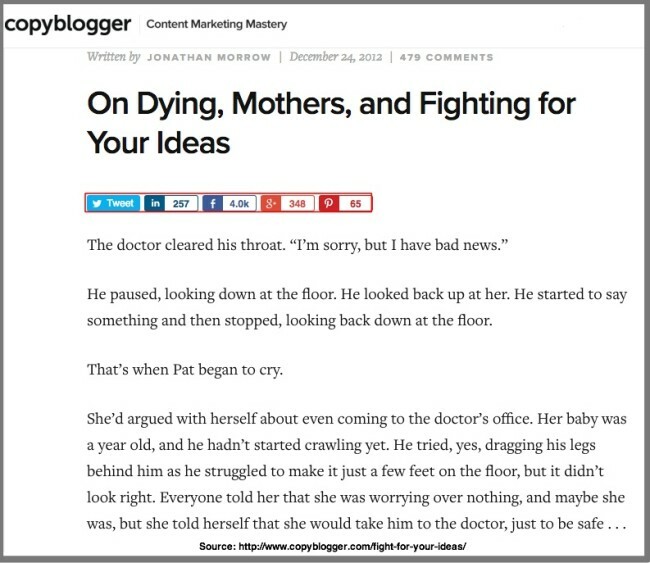 Before you tell me you can’t write or didn’t go to Harvard, read SmartBlogger’s Jon Morrow’s On Dying, Mothers, and Fighting for Your Ideas. Don’t worry I’ll wait while you read it as well as Morrow’s Copyblogger interview. Despite his major physical hurdles, Morrow put in hours studying what it took to write stellar content. While you may argue that Morrow’s hurdles pushed him forward; and that may be true. But what is equally true is that you have the same ability to push yourself forward as he does. 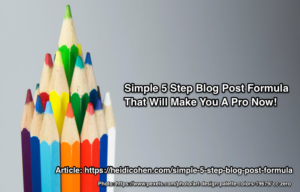 And I believe that you can learn how to write blog posts like a pro by following this Simple 5 Step Blog Formula. Since blogging like other forms of writing depends on writing, bloggers often have trouble distinguishing it from the basic skills that everyone learns in school. Blog posts like most writing gets down to 3 key skills. And you can learn them and become a pro if you put in the time to practice and improve! Learn the language. Understand how basic grammar works. Practice writing. Spend time every day putting words onto a digital screen or onto physical paper. Read widely. Go beyond social media, texts, email and other digital media. Specially read a variety of books to learn what good writing is and to gather new ideas. 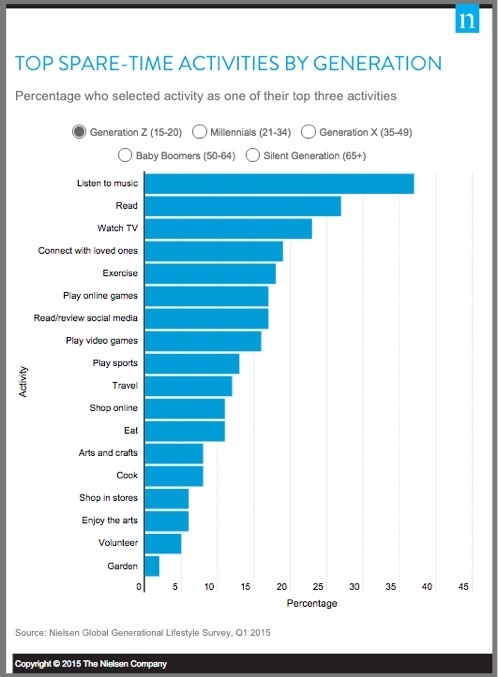 BTW, Did you know that reading was a top activity across age groups? Now that you know what skills you need as a blogger let’s dive into the simple 5 step blog post formula! Everyone starts with a blank page or screen. By showing up at the page! Regardless of how they feel, the pros sit down and start. Optimize writing to attract readers and get them to consume it. Even better, apply it to any type of content you have to create. Start with a qualified blog post idea. Without having an idea allows your mind to waste precious time going down rabbit holes that drain your creativity. Instead, where possible, capture and vet blog post ideas in advance. And gather related data and examples before you start. Use this input to inspire you and help you to select a specific blog post topic. But don’t copy or use other people’s content! Using someone else’s blog post and making it look like you wrote it is intellectual property theft. Provide missing data and related context. Add your perspective on the topic tailored to your audience. Supply examples and/or detailed instructions the original missed. Seize these blog post ideas and store them for future use. This allows ideas to marinate without you focusing on writing the post yet. Further, with a list of post ideas, add related data and examples to fill out your post. Analyze your blog’s most successful posts. Can you write about related topics or go into more depth? Alternatively, check competitors’ top posts to find untapped opportunities. Get blog ideas from other employees. Ask employees for blog post ideas. Create a swipe file. Apply ideas that work well in another category to your niche. Start your blog post by organizing your thoughts into an outline. 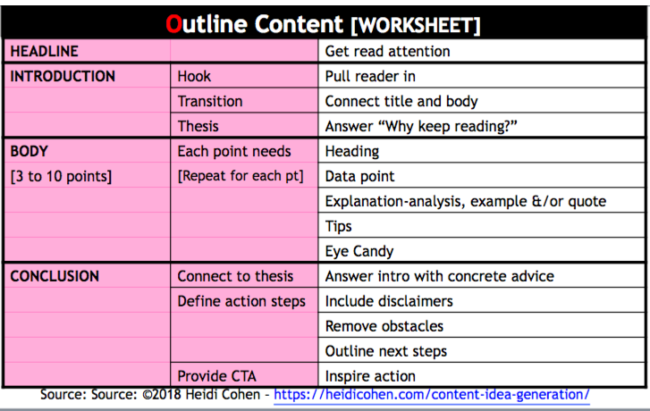 Personally, I couldn’t connect outlining with my writing until I started to write the Actionable Analysis column for ClickZ. I learned how to structure my articles. This streamlined my writing process. Introduce the topic. Use a hook to get the reader interested in the article. It should relate to your title or you’ll lose readers immediately. Give readers the main course. Use 3 to 10 points to explain your argument. In each point add the main concept, research or data, an example to make the idea concrete, and tips and tactics to use the concept. Conclude your article. Tie your post together by referring back to your title and opening. Also remove any roadblocks to reader action. Tell a story with each blog post. Set up your problem, action and result. Don’t make your reader work or they’re gone! Flesh out each key point to increase reader trust. Include research or data, show an example, add an influencer comment, offer tips and tactics. Organize your points to guide readers. Put your points in order to ensure that they make the strongest case for your blog post. Once you’ve got your outline, take a break. Even better put it away until the next day. John Cleese calls this the hare brain and tortoise mind. Crank out your first draft as quickly as possible! Write one section at a time without a break. Use your outline and calendar to schedule your time. If I don’t have an strong idea and an outline, my articles take significantly longer to write and they’re not as good. Don’t go back over the opening sentence or paragraph. Write straight through until you’ve covered everything. Start where you know what you want to say. You don’t need to start at the beginning. Write what is easiest first! You can move the content around later. Make notes on new ideas on a pad or in your draft but don’t stop writing the draft. This saves the idea while it keeps you focused. Get your ideas on paper as quickly as possible. Don’t stop for spelling or rethinking what you are currently writing. Personally, I do this type of writing best first thing in the morning with a cup of coffee. Whether writers admit it or not, everybody’s writing starts out crappy. It’s your job to make it shine! You must find the beauty hidden within your first drafts. Ideally, allow your draft to sit without working on it. This allows your mind to think about it in the background. Also, allow your article to sit before publishing it. Then you can go through it with a fresh perspective. Write like you’re talking to a real person. 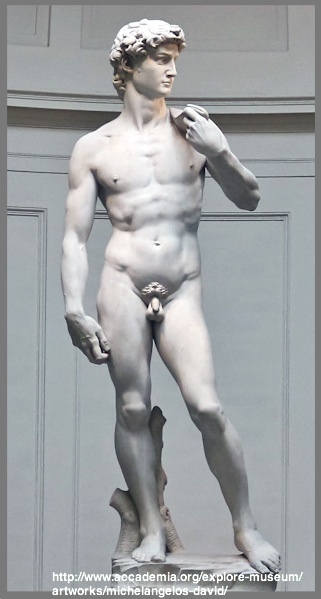 Create a persona that represents your ideal reader. Address your reader as you to make your writing feel personal. Use short words, sentences and paragraphs. 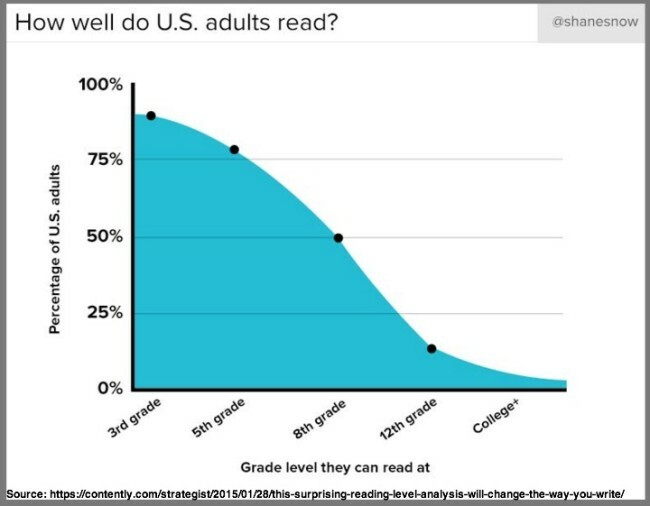 The US average reading level is 5th grade. Choose easy, short words over long ones. Most people scan when they read online so keep sentences and paragraphs short. Skip the jargon. Corporate-speak takes the power out of your words. Jargon is stop sign for your readers. Use words your mother would understand. Organize your content to help your reader. After writing your first draft and editing once, make sure that each point follows the one before it. Go back to the beginning. Do you pull your reader in and compel him to keep reading? Are You Serving Homogenized Content? Polish your writing so that it reaches the maximum potential audience. This extends beyond your text. It includes images and other presentation elements to make your post easy-to-consume for the widest possible readership. Start with the text. Here’s where having a copyeditor helps. If you don’t have one, get a colleague, family member or writing buddy to read your article. Otherwise, at least read it through once out loud. Focus your content on one keyword phrase. It should be related to your search categories. Further bear in mind that your blog post must attract more than just readers! It need to stand out on social media platforms in the short term and be search-friendly over the long term. 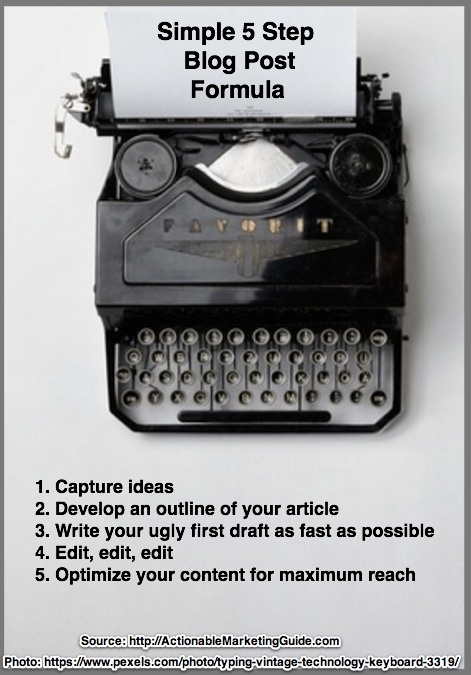 Craft your blog post headline to pull readers in. Include links to other resources. It’s your reference section. Want to boost your visibility? Mention thought leaders. Let them know after the piece is published. Add photographs and charts where appropriate. People are visual beings. Catch their attention. Format your content for scanability. Use bolding and outlining to guide readers through quickly! You too can write blog posts if you practice writing and feed your mind with reading. To improve your writing over time, build your writing muscles and habits. 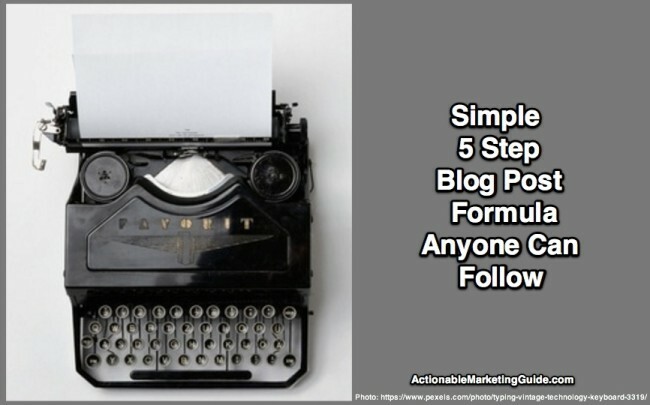 Also use my simple 5 step blog post formula to streamline your blog post creation process. Don’t expect every post to be a gem! Instead aim to improve your skills and consistency over time. Remember if your blog post yields less than spectacular results, you can always update it! What are your favorite blog writing tips? Editor’s note: This post was originally published in January, 2016. It has been extensively revised and updated. Tags Jon Morrow, Sonia Simone. Bookmark the permalink.